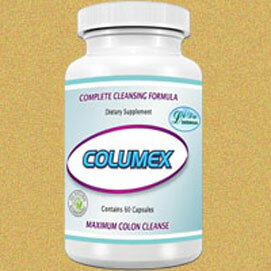 Columex 1 bottle, Lida Forte Daidaihua Columex Is our new natural COLON CLEANSING supplement. Columex Is our new natural COLON CLEANSING supplement. Is our new natural COLON CLEANSING supplement. This powerful formula features the added antioxidant benefit. This new and improved 750mg formula offers the antioxidant and nutritious power, which also contains vitamins, minerals, fiber, omega-3 fatty acids. ✔ Columex™ is composed of a unique blended formula of natural herbs and extracts. The ingredients have been carefully selected for their well known benefits to cleanse and detoxify the body. Ingredients include: Cascara Sagrada, Acai Berry, Dandelion Root, Goldenseal, Ginger, and more! ✔ Columex™ is completely natural and safe, without any known side effects. ✔ The overall body benefits with the use of Columex™ . Colon cleansing helps your body kick start it’s natural detoxification ability and as a result you feel healthier and more energized. ✔ Columex™ supports a healthy body by promoting good digestive health and with the natural blend of herbs, the immune system is also improved. ✔ Columex™ is suitable for both men and women. Currently viewing:Columex Is our new natural COLON CLEANSING supplement.